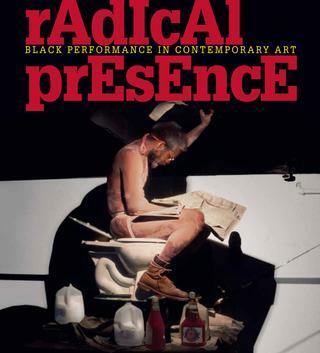 Radical Presence: Black Performance in Contemporary Art, the first comprehensive survey of performance art by black visual artists. While black performance has been largely contextualized as an extension of theater, visual artists have integrated performance into their work for over five decades, generating a repository of performance work that has gone largely unrecognized until now. Radical Presence provides a critical framework to discuss the history of black performance traditions within the visual arts beginning with the “happenings” of the early 1960s, throughout the 1980s, and into the present practices of contemporary artists. Radical Presence features video and photo documentation of performances, performance scores and installations, audience interactive works, as well as art works created as a result of performance actions. In addition, the exhibition features a live performance series scheduled throughout the run of the exhibition, including performances during the opening weekend of the exhibition by Terry Adkins, Maren Hassinger, Senga Nengudi, Pope.L, and Tameka Norris. The exhibition features work by three generations of artists including Derrick Adams, Terry Adkins, Papo Colo, Jamal Cyrus, Jean-Ulrick Désert, Theaster Gates, Zachary Fabri, Sherman Fleming, Coco Fusco, Girl [Chitra Ganesh + Simone Leigh], David Hammons, Trenton Doyle Hancock, Lyle Ashton Harris, Maren Hassinger, Wayne Hodge, Satch Hoyt, Ulysses S. Jenkins, Shaun El C. Leonardo, Kalup Linzy, Dave McKenzie, Jayson Musson aka Hennessy Youngman, Senga Nengudi, Tameka Norris, Lorraine O’Grady, Clifford Owens, Benjamin Patterson, Adam Pendleton, Adrian Piper, Pope.L, Rammellzee, Sur Rodney (Sur), Jacolby Satterwhite, Dread Scott, Xaviera Simmons, Danny Tisdale, and Carrie Mae Weems. To view all video documentation of the exhibition please follow this link to YouTube. Radical Presence: Black Performance in Contemporary Art is supported by generous grants from The Andy Warhol Foundation for the Visual Arts and the National Endowment for the Arts. Exhibitions in the Brown Foundation Gallery at CAMH have been made possible by the patrons, benefactors and donors to the Museum’s Major Exhibition Fund: Major Patron – Chinhui Juhn and Eddie Allen, Fayez Sarofim, and Michael Zilkha. Patrons – Mr. and Mrs. I. H. Kempner III and Ms. Louisa Stude Sarofim. Benefactors – Baker Botts L.L.P. / Anne and David Kirkland, George and Mary Josephine Hamman Foundation, Louise D. Jamail, KPMG, LLP, Beverly and Howard Robinson, Andrew Schirrmeister III, Leigh and Reggie Smith, and Mr. Wallace Wilson. 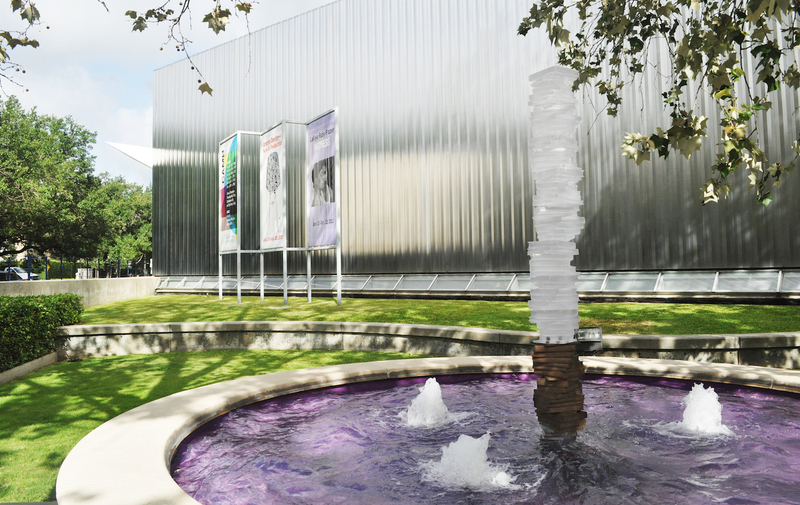 Donors – Anonymous, Bank of Texas, Bergner and Johnson Design, Jereann Chaney, City Kitchen, Susie and Sanford Criner, Elizabeth Howard Crowell, Dillon Kyle Architecture, Sara Dodd-Spickelmier and Keith Spickelmier, Ruth Dreessen and Thomas Van Laan, Marita and J.B. Fairbanks, Jo and Jim Furr, Barbara and Michael Gamson, Brenda and William Goldberg, King & Spalding L.L.P., Marley Lott, Judy and Scott Nyquist, Belinda Phelps and Randy Howard, Phillips de Pury & Company, Lauren Rottet, David I. Saperstein, Scurlock Foundation, Susan Vaughan Foundation, Inc., and Karen and Harry Susman. The catalogue accompanying the exhibition is made possible by a grant from The Brown Foundation, Inc.
United is the official airline of CAMH. Radical Presence: Black Performance in Contemporary Art is curated by Valerie Cassel Oliver, CAMH Senior Curator.